In protest against levy of service tax on insurance premium with effect from January 1, 2014, LIC agents from Tamil Nadu, Kerala and Puducherry gathered at Chennai on Friday. 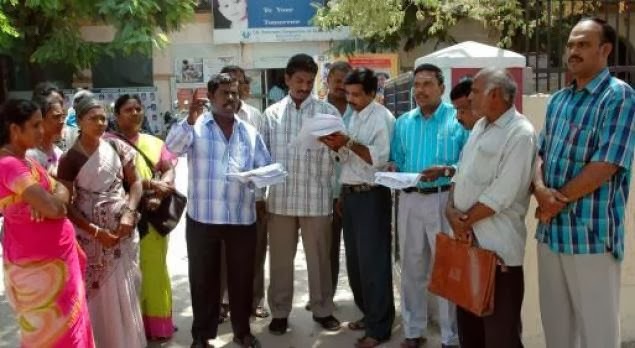 The rally led by Southern Zone President of Life Insurance Agents' Federation of India (LIAFI) Mr. V. Ganeshan sought immediate withdrawal of the introduction of service tax of 3.09 % on insurance premium. “At a time, when we are asking the management to extend more benefits to the policyholders and introduce user-friendly policies, the introduction of service tax of 3.09 % on traditional products is unnecessary. It will pinch their pockets as it is an extra burden. This will force most of them to discontinue the policies. There are over 11.4 lac LIC agents in the country and equal number of agents in the private sector. LIC has 30 crore policyholders and they should not be exploited in the name of new taxes", said LIAFI president Mr. H.M. Jain at the Golden Jubilee celebrations of southern zonal council meet. The service tax would affect LIC's business as more than 20 crore policy holders are from lower and middle income groups, said Mr. Ganeshan adding, “In the coming days, it might delay settlement of death claims or maturity claims and even affect LIC reserves too."